Multi-functional. 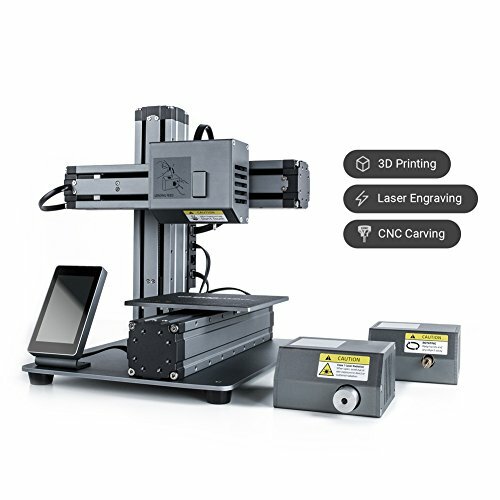 3D printing, laser engraving and CNC(Computerized Numerical Control) carving . Supreme Material. All metal built, 10 times better tolerance than plastic. Modularity and Simplicity. Easily transform to the machine you need in 10 minutes. With the integrated modules and connectors, you will love how easy it is. Stability. Designed to consistently deliver strong and stable performance, Guanranteed.